Widely publicized study data reported by clickbait sites as evidence that Apple Watch sales have "plunged" and "are tanking" actually shows something completely different: that Apple has launched the most successful smartwatch product by a vast margin. 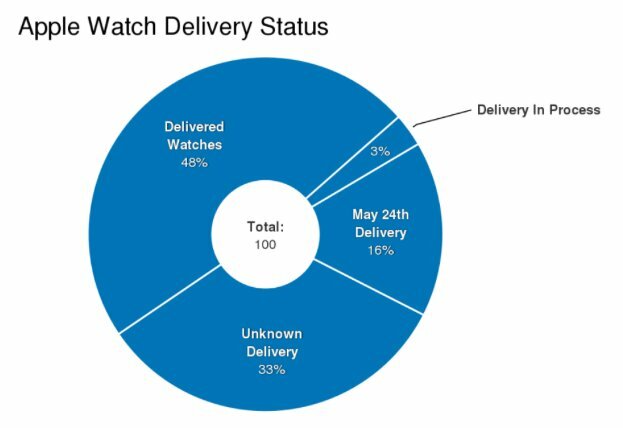 Apple hasn't yet given any figures on Apple Watch sales (after noting last year that it would not be publishing unit sales of the new device in its quarterly earnings reports), but Slice Intelligence compiled some questionable figures from "e-receipt" data it gleaned from a large group of consumers who volunteer to share their purchasing information. 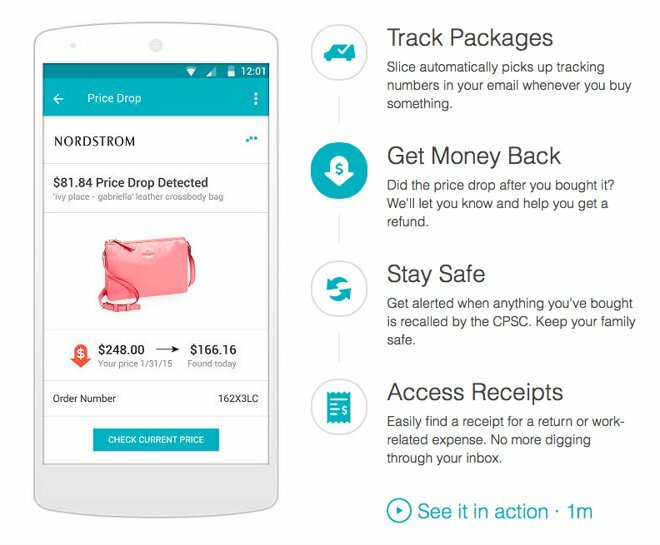 Slice obtains much of its consumer data from an shopping assistance iOS app (which includes support for Apple Watch). Professional financial analysts trying to track sales of more mature and better understood market segments, such as Macs and iPhones, are routinely off by millions of units despite the much easier task of counting conventional channel sales of PCs and phones, most of which are sold by third party retailers. 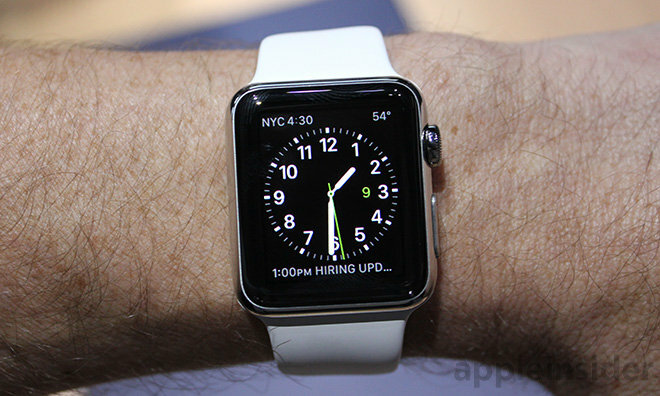 The first three months of Apple Watch sales were almost entirely sold online, direct from Apple's website. 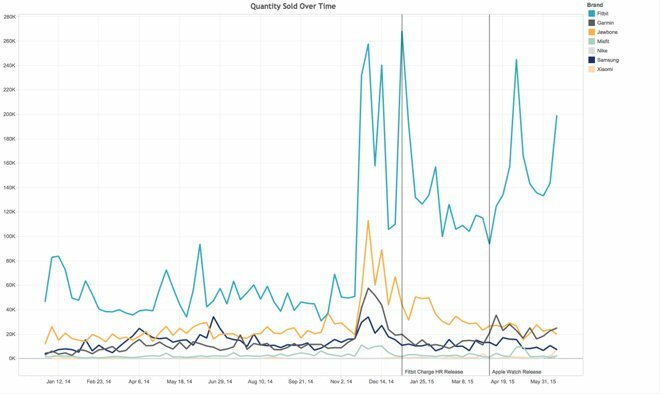 Slice's own data on FitBit wearables indicates that the majority of its sales data was gleaned from Amazon, Best Buy, Target and other third party retailers, none of whom are selling Apple Watch. The Slice data being cited is also U.S. only. We know that international sales, particularly in China, have for some time represented the majority of Apple's sales overall, so the Slice data can only possibly represent a portion of total Apple Watch sales. [Slice reaffirmed that the figures it presented were U.S. only and limited to purchases made online. The firm also noted that it excluded sales data from Ebay, noting that it sought to eliminate secondary sales from its data. Given the constrained supplies of Apple Watch over the entire quarter, it is possible that significant volumes that were sold early at launch were bought by speculators and resold later, contributing to the steep decline of first party sales that Slice observed. We also know that Apple product categories have different cyclical patterns in specific regions (iPads are rapidly growing in China, but appear to have plateaued in the U.S., for example) and that holiday sales peak in the West during Christmas and surge in China during the Lunar New Year. Apple Watch wasn't available during either holiday season, and sales have remained strictly constrained by short supplies, a well established reality that doesn't seem to fit into the Slice data as reported at all. Slice data appears to show (below) that Apple Watch sales have incrementally declined since launch along a falling trend line of daily sales. We don't know how this data might compare with daily iPhone or iPod sales (which are known to surge at launch and then fall off at different rates as time goes on), but we do know that product cycles have shifted dramatically as product categories mature. We also know that estimating sales is extremely difficult, even after product categories mature. The consensus analyst estimate for the last entire quarter of iPhones was off by 6 million units, or more than 10 percent. A week before Apple announced sales of 61 million iPhones in April, Pacific Crest's Andy Hargreaves revised his iPhone guess upward to 58.1 million from a previous 56.8 million. He was still off by nearly 3 million. That's more than a week's worth of iPhones. Imagine the worthless data he could generate if he'd been trying to estimate daily sales, the way Slice has. However, even if you ignore the potential problems with Slice data and simply take it as reported, it actually shows something far different than what was reported by virtually every tech news site today. In a rather desperate bid to establish some aspect of failure for Apple Watch, journalists appear to have completely overlooked the majority of the data Slice actually presented. Even if the Slice data is only moderately reliable, it clearly shows that Apple's first attempt to sell a "smart band" has trounced everything else on the market, and continues to far outsell everything else even after supposedly "collapsing." This reality was not readily apparent in the data Slice presented, which primarily compared Apple Watch sales (at $350 to $1,000 and up) against FitBit fitness trackers, a family of products that range from $60 to $250. Amazon indicates that its top FitBit product is a discounted model that it sells for $90. Unlike Apple Watch, which has one set of features whether users opt for the $350 Sport, the $500-$100 stainless steel, or the $10,000 and up solid gold Edition, most FitBit models are a basic watch with a step counter; only two models (at $150 and $250) add a heart rate monitor, and the more expensive one includes features like text notifications and music playback control. Comparing low cost FitBit activity trackers to Apple Watch is like comparing $50 to $250 iPods to high end smartphones. Slice details its sales data down the week or even day, but bundles together all FitBit models to compare against Apple Watch, reminiscent of the tactic IDC used to denigrate iPad sales in comparison with huge volumes of cheap tablets including "kids toys." The firm emphasized in a report subheading that "Apple Watch Launch Did Not Take a Bite from Fitbit Sales," and pointed out that in May, "850,000 Fitbit devices sold versus 777,000 Apple Watches," as if Apple's launch was intended to instantly obliterate the market for anything else one might wear, and had therefore failed. Of particular interest is the fact that Slice's tweeted chart (above) didn't include first day sales. 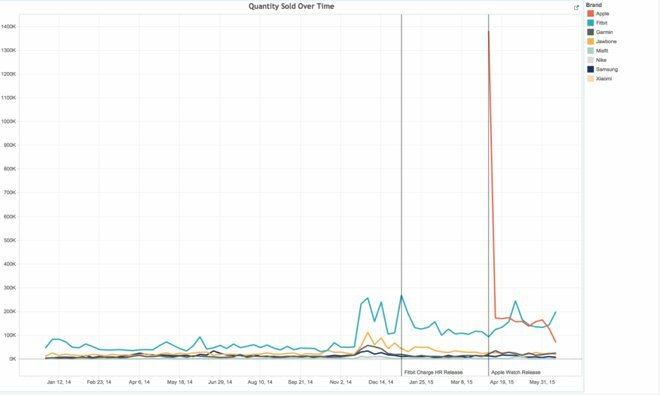 Adding in that surge of launch day orders, the chart looks very different: the respectable volumes of popular FitBit devices are crushed down into the x axis. Only five times has FitBit sales (according to Slice data) ever reached above 200,000 sales per week, and across 2014 the company's sales only reached above 100,000 sales per week during the Christmas holiday season. However, in its launch week Apple Watch U.S. sales opened at over 1,300,000 units (according to Slice): essentially a year's worth of FitBit sales in one week. FitBit is a successful company that investors expect to be worth billions. Despite being hard to buy over its launch quarter, Apple Watch immediately achieved a large installed base starting at a price point much higher than the most expensive FitBit; it is clearly appealing to a very different customer. If you clear away the distraction of cheap FitBit fitness trackers and look at actual smartwatch competitors to Apple Watch, you'll see even in Slice data that Samsung —the primary smartwatch vendor, with several models that are all cheaper than Apple Watch and years of experience in trying to sell them —is barely a blip on the sales chart. Even the supposed June "collapse" of U.S. Apple Watch sales as reported by Slice (which itself never referred to as a "collapse") remains at a rate far higher than Samsung Gear products achieved even over the last holiday season. In fact, every other smartwatch vendor has seen their already anemic sales actually collapse, without ever having achieved a strong launch to start with. Apple's iPods, iPhone and even iPad didn't hit their sales stride in the first three months of sales. Each took some time to build an audience of millions, and saw sales develop particularly during holiday seasons. Many news sites covering the Slice data (including, of course, BusinessInsider) also made reference to Pacific Crest's Hargreaves, suggesting that his recent note harmonized with the idea of "tanking" or "collapsing" Apple Watch sales. Hargreaves' note stated that "store visits, Google search volume, third-party data and recent supply checks all suggest demand for Apple Watch has fallen sharply from initial levels." Citations of his note in conjunction with Slice data didn't also point out Hargreaves' past record of accuracy in forecasting, or the inherent problems with relying upon "supply checks," or conducting "store visits" related to a product that hasn't even been available in retail stores throughout most of its launch quarter, outside of a select few fashion boutiques worldwide. Additionally, his pessimistic "Google sales volume" comment was based on the fact that more people search PCs about "iPod" than "Apple Watch," as if it doesn't matter that over 400 million iPods have been sold over the past 15 years, while Apple Watch has only been on sale for three months. Even so, Hargreaves himself also estimated the next quarter of Apple Watch sales to "meet or exceed" 5.5 million internationally, accounting for fiscal year sales (launch through September) of 10.5 million units. Those figures are too large to even fit on the Slice chart, and directly contradict the idea that Apple Watch sales are collapsing into obscurity, rather than supporting the notion.